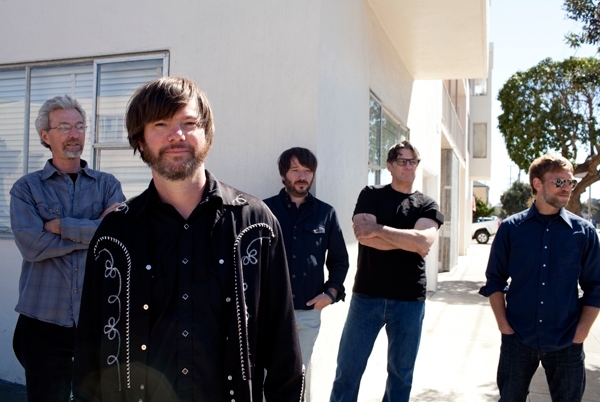 Jay Farrar has never strayed too far from the rock & roll side of country music in his career stretching back more than 25 years, but he heads for the heart of Bakersfield on Son Volt's new album, Honky Tonk. Inspired by vintage Bakersfield-style country acts like Buck Owens and Wynn Stewart – and particularly by Ralph Mooney, the pedal steel guitarist who played with both singers – Farrar began learning the instrument a year and a half ago, which led to a batch of new songs. "It was like, 'This is what I've been listening to, so this is what I'm going to write,'" Farrar tells Rolling Stone. "But I think, also, the idea was to revisit and make this record a continuation of the pedal steel guitar and fiddle aesthetic that's found in the first song on the first Son Volt record." That song, "Windfall," from 1995's Trace, followed the break-up of Farrar's influential alt-country band Uncle Tupelo and set the tone for his music with Son Volt and on solo albums and collaborations with other artists. Although Honky Tonk harkens back to the early days of Son Volt, it's not a direct descendent. For example, opening song "Hearts and Minds" – which RollingStone.com is premiering exclusively below – is a Cajun-style tune featuring a twin-fiddle sound that recurs throughout the album, which is due on March 5th. "The sound of one fiddle alone is kind of a transcendent sound; it takes you back a couple hundred years, but you put two fiddles together and it creates this natural chorus effect because the pitch is just a little bit different on each one," Farrar says. "It's both transcendent and elusive." Farrar's lyrics have often been elusive over the years, too, but he steps back here from the stream-of-consciousness style that has become something of a trademark. "This record was much more thematic lyrically than probably anything I've done before, so it was like, OK, heartache/heartbreak lyrics, here we go," Farrar says. Although he adds, "I kind of got into it," don't expect the reserved singer to go full-on confessional anytime soon. "It's probably more of a temporary direction," Farrar says. "I don't know if I can run with the heartache/heartbreak theme much more than I have on this record. Doing this record, hopefully, it'll allow me to move on to something else." He rarely lacks for other things to do. In 2009, Farrar teamed with Ben Gibbard for One Fast Move or I'm Gone, an album of songs they wrote using text from Jack Kerouac's novel Big Sur for the soundtrack to a documentary on the Beat writer. Also, last year, Farrar worked with Jim James, Anders Parker and Will Johnson of Centro-matic on New Multitudes, an album of previously unrecorded Woody Guthrie songs. Next up is Falling Cars and Junkyard Dogs: A Portrait of a Musical Life, a memoir due in March that intersperses impressionistic vignettes from Farrar's childhood with brief episodes from life on the road as a touring musician. The scenes in the book are fragmentary, which was intentional. "I never really considered a straightforward linear autobiography because for one thing, I think, my life is not important enough to do that," Farrar says. "And for another thing, I felt like concentrating on very specific experiences – that's very much like the songwriting process, and I thought that approach would be much more conducive to getting something done. There's folk music, there's folk art and I guess what I did here is more along the lines of folk writing."